Aneeqa Malik is a UK and Global Strategist for Akhuwat (Brotherhood) Foundation, aspiring to bring about an Integral Finance model based on lending interest-free loans to Micro-Entrepreneurs in Pakistan and beyond. Akhuwat has a virtue-based approach to poverty alleviation and has designed its various social and economic development activities as an expression of solidarity with marginalized and disadvantaged groups of people. Akhuwat’s vision of development is known as Muwakhaat, meaning ‘solidarity’ – a paradigm of justice and compassion. The burning issue underlying this research-to-innovation is the lack of image-building strategies and practices within Pakistani Diaspora, particularly those living in the UK. 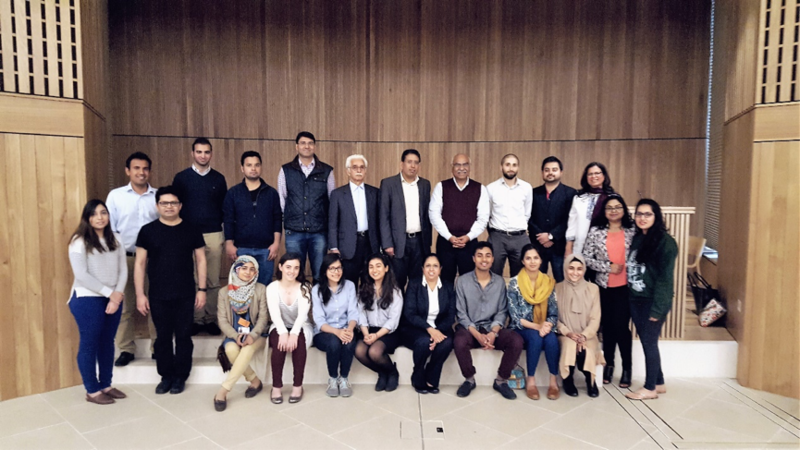 Due to a knowledge gap that exists between the diaspora and Pakistan, the Pakistani community faces a confidence barrier which hinders their growth and integration in the UK. They’re still in a place of deep diasporic nostalgia, stemming out of their migration to a more prosperous land and at times has an overbearing feeling of guilt leaving their homes and loved ones behind to pursue their own economic careers. Being an emigrant herself and having faced the physical and emotional challenges that came with Hijrat (Migration), Trans4m Fellow Aneeqa Malik, started working with the diaspora communities by setting up her own consultancy which aligns her call with the aim of building bridges between communities with a passion of promoting good practices and showcasing distinctive models emerging from Pakistan which will help in resolving this identity crisis and boost people’s confidence in Pakistan, which eventually will result in bilateral trade and partnerships between the two countries as well as strengthening a universally aligned Solidarity bond. Combining her Action Learning facilitating techniques and independent action research on social integration and social innovation, she aims to bring integral innovation in the way how social integration and social innovation is understood in communities especially from marginalized and disadvantaged backgrounds. As she takes pride in her roots, she has always seen this as a sacred purpose to tap into the traditional wisdom locked in the mystical soil of her home country. 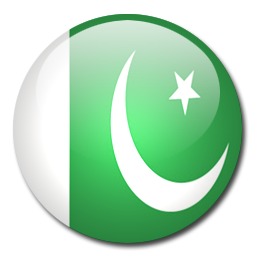 Pakistan has a strong strategic positioning in Asia with an economy which is supposed to take an upturn by 2030, she believes good practices from Pakistan should be shared and good stories about Pakistan be told to improve the country’s global negative perception. Being a community integrator for a few years now and a natural people-connector, Aneeqa Malik has been very well connected with voluntary organisations and a network of social activists who are always happy to reciprocate her community wellbeing initiatives. She is a well reputed ambassador for her country and her advice has always been very well taken by institutions and governmental bodies as well as within her entrepreneurial ecosystem in Pakistan. Further, she is well-integrated within the UK networks. 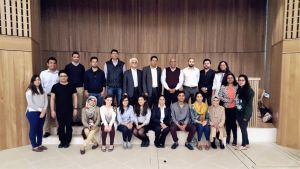 For her Integral Innovation PHD project, in Pakistan, she has full support of Akhuwat’s board members and Chairman representing Akhuwat at reputable global gatherings bringing innovation to Akhuwat’s localized research by adding a global perspective to it. This ecosystem is growing through forming partnerships between organisations and institutions with similar philosophies e.g. Cambridge Muslim College, Satifs, Care International. This was done by holding a series of roadshows taking Akhuwat’s message of Brotherhood (Mwakhaat) around the UK extending the message of Mwakhaat (Solidarity). Drawing from Trans4m’s Integral 4C’s rhythm and CARE-ing 4 Society dual rhythm model combined with releasing of a particular society’s GENE-ius, Akhuwat’s (spiritual fourfold) 4 core values are aligned to bring integral innovation to Akhuwat’s Mwakhaat Paradigm. Engaging with the four phases of the 4C rhythm and by submerging it with Akhuwat’s (Brotherhood) four core principles which all build on each other, our Integral Innovation model tends to present an Integral Finance model emerging from the (Spiritual) East. The 4C rhythm takes part in a continuous “dance” with the parallel CARE rhythm. Together they co-engage in a constant upwards-downwards-and-sideways, spiraling and cyclical movement. Thereby both intertwined rhythms gradually “rise” towards full-fledged Integral Development. On the SELF-transformational journey, the Saalik (the Wayfarer on Spiritual path) is a traveler who is always on a journey (path) towards Truth (the ultimate reality). Once the soul is on that quest of employing the real self, it must go through stages of integral development of the self, the organisation/s we work with, our communities and ultimately the society as a whole to activate their GENE-ius, the integral moral core of Being. As developed by Profs Ronnie Lessem and Alexander Schieffer, the release of geniu, turns integral-static worlds into an integral-dynamic GENE process (Grounding, Emergence, Navigation and Effect), releasing GENE-IUS, including I, yoU, and the Synergy between Us. Through Migration, of physical and spiritual, the self goes through a transformational process of becoming one with all and all with one. The journey bearing through the hardships transcends Faith in God as well as one’s self becoming a keeper of Truth.